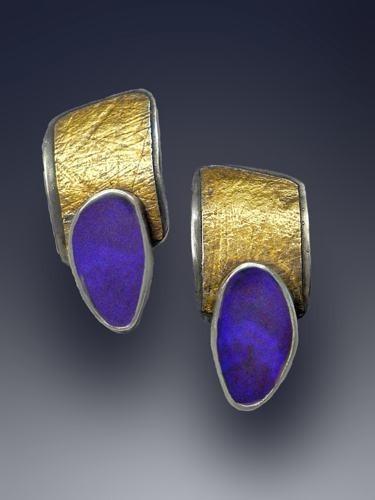 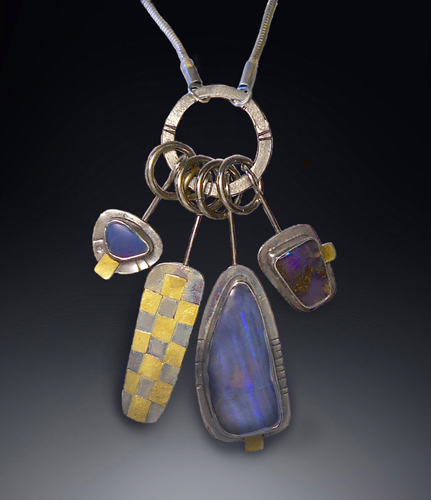 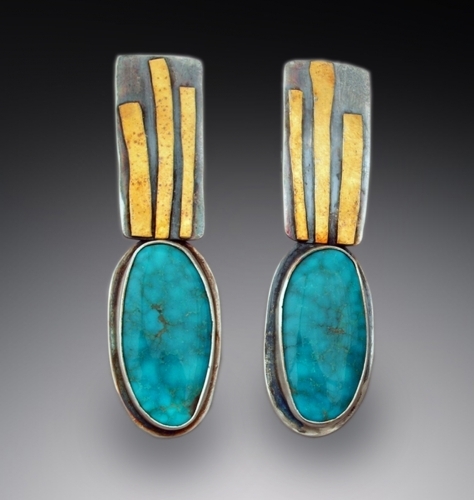 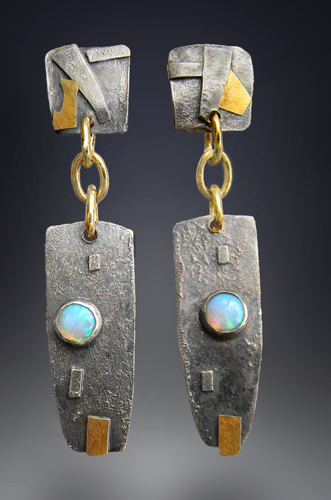 silver and 22K gold combine with beautiful blue opals to make a bright and comfy earring, this pair is sold but ask to have another made just for you. 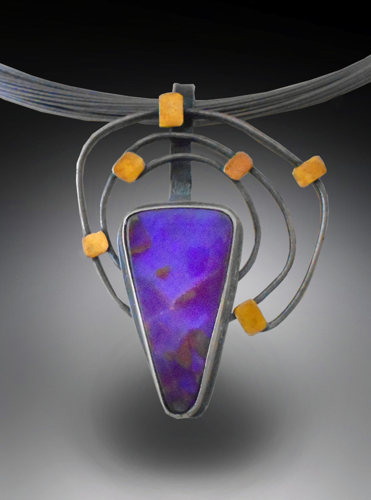 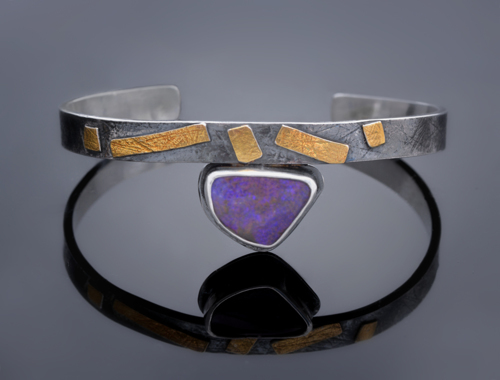 Boulder opal on a cuttlefish cast band with 22K gold accent, bands are 5/8" wide , sizes are available. 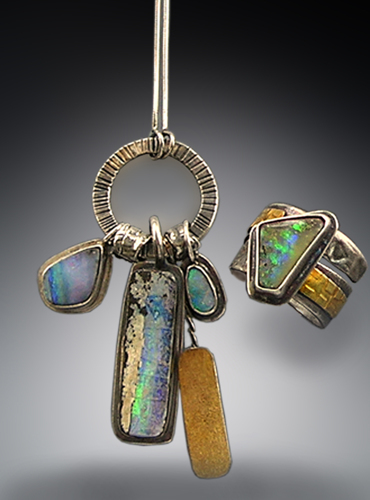 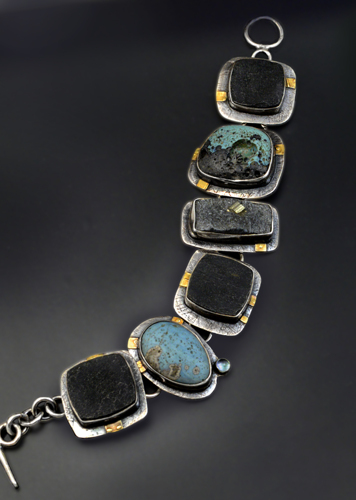 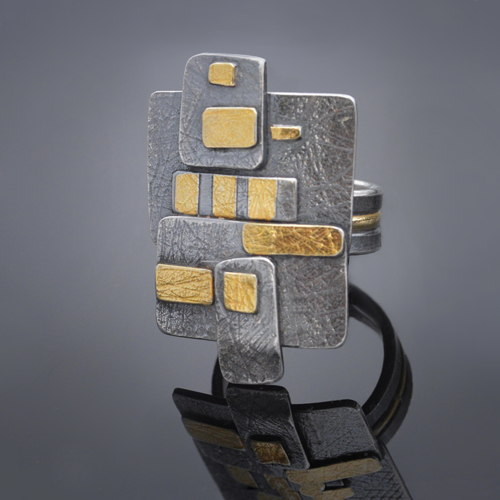 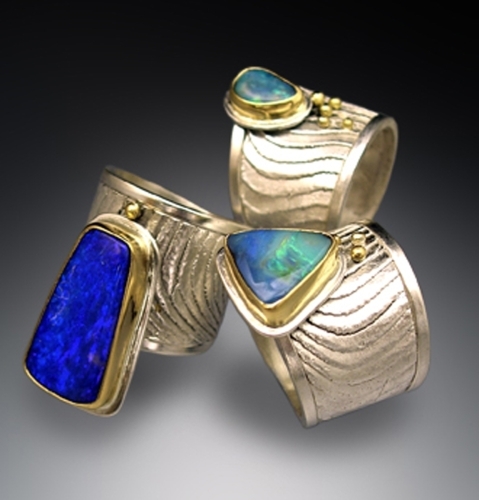 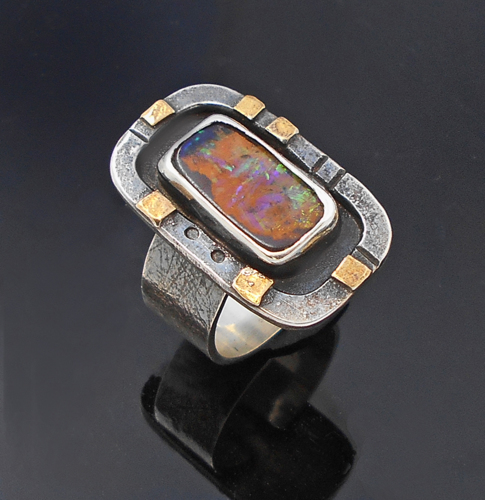 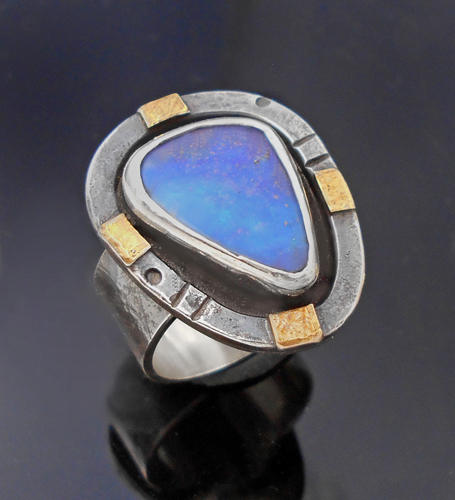 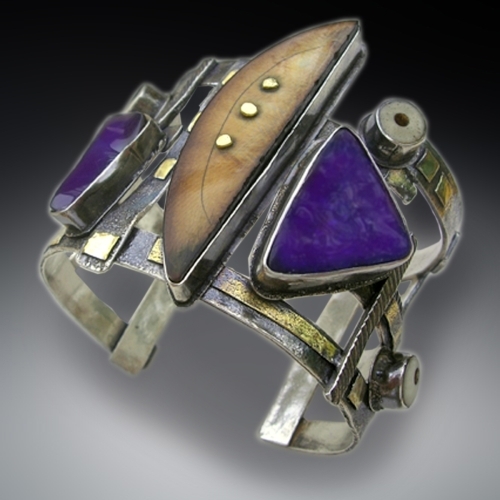 Highly textured silver open work cuff with Boulder opal and Fossilized ivory that is 10,000 years old or older accented with 22K gold.